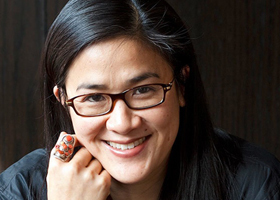 Kylie Kwong is a figure well known to Australians as a chef, restaurateur, author and television presenter. She passionately believes that our food choices should be ethical, sustainable and supportive of both the natural and human environment. To honour the integrity of food produced in this way, her style of cooking is all about emphasising simplicity, fresh ingredients and clean flavours. She runs her restaurant Billy Kwong in Sydney’s Surry Hills and has published a number of books sharing her love of cooking and Chinese cuisine. A filling salad, thanks to the chickpeas, but at the same time it's light and zesty. This recipe is quick and simple to make, yet so full of exotic flavour. Billy Kwong's signature dish, full of flavour and personality. A gorgeous and tasty addition to any afternoon tea!